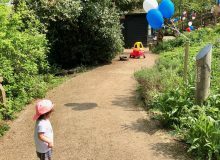 We may be in the UK, but any excuse for a celebration is good to me! 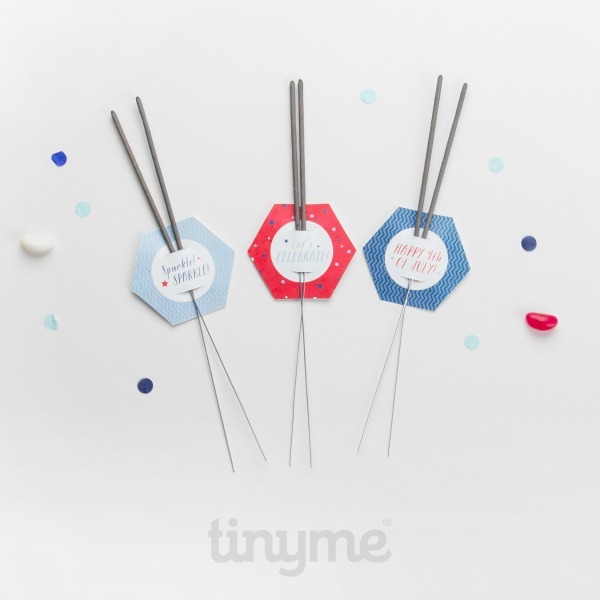 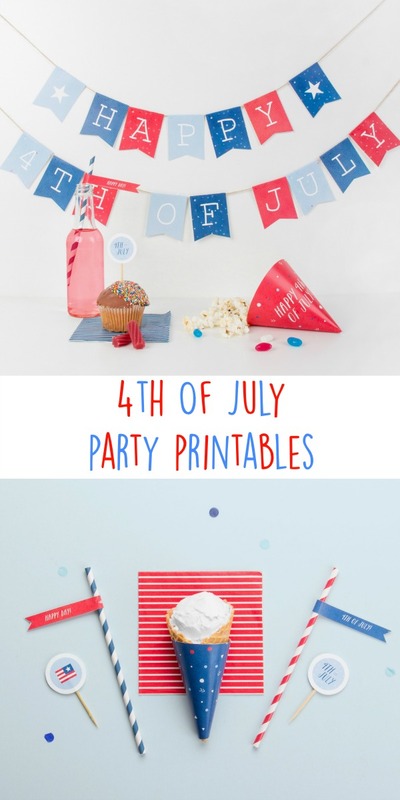 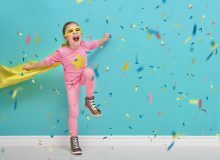 These 4th of July party printables are too cute not too share, so whether you’re reading from the UK or the US, I hope you enjoy this free printable pack from TinyMe. 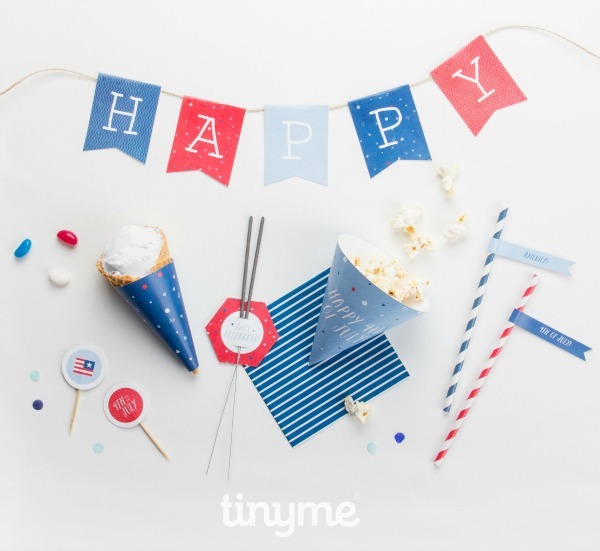 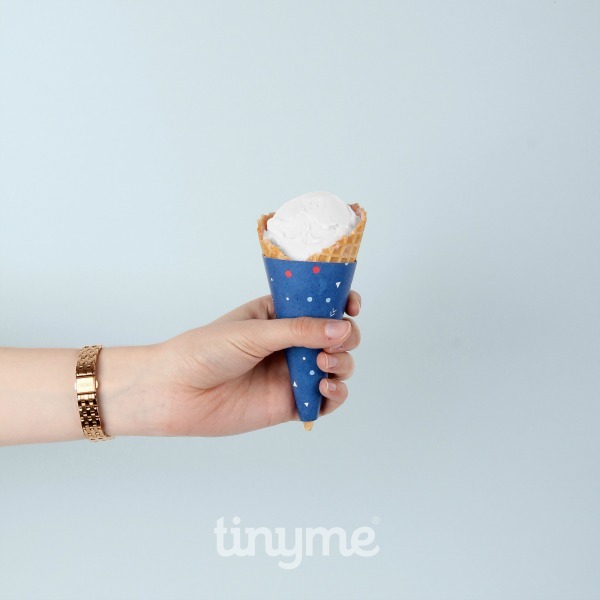 This pack includes cupcake toppers, ice cream cone wraps, flags to decorate your food, bunting, and food cones all in red, white and blue.